Stronger. Leaner. Faster. Fitter. What's your fitness goal? No matter what you hope to achieve, Puritan's Pride can help you get there with these top selling products in sports & diet. 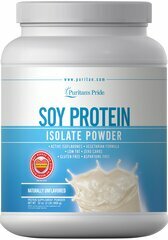 ** Whether you're searching for a protein powder or a popular diet, fitness & lifestyle supplement, check here first to find our customer favorites.These top selling products are tops with our customers for good reason; but don't just take our word for it, read the reviews and see for yourself.